Home boxing's biggest stars and living legend, Floyd “Money” Mayweather, The Mayweather Boxing Club is the most famous & recognized boxing club in the world. 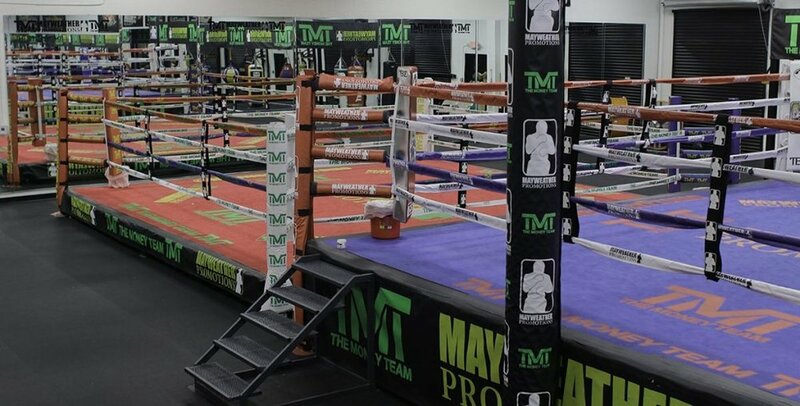 It is the home to some of the biggest names in boxing today along with the Mayweather Promotions (TMT) fighters, who train there daily. At any time you enter this iconic facility, you may see some of the most recognized athletes and celebrities stopping by to get a glimpse inside and step foot in the world famous gym. Recent visits from Billionare Warren Buffett to multi-grammy award-winning singer Mariah Carey, Criss Angel, “Sugar” Shane Mosely, and several others have evolved the Mayweather Boxing Club from a world-class gym to a legendary boxing landmark. Now it’s YOUR turn to be a part of history and train at the Mayweather Boxing Club!